Has your mane been constantly misbehaving lately? If so, it may be time to have your stylist get out the scissors so that you can start fresh! Although we recommend getting a small snip every 8-10 weeks, there are also several indicators that you can watch for. This is an obvious one. If your ends are split, frayed, and looking a little worse for wear, it is definitely time to snip away the dead weight! Many women obsess over so much over keeping their length that they forget that hair health should take priority. Keeping split ends will only increase overall hair damage, which will only lead to breakage and loss of even more length in the future. If you’re seeing your ends split, it’s time to say goodbye! Depending on your hair texture, the detangling process may take awhile! Knots and tangles are evidence of weak spots in your hair strands. Regardless of how long your normal wash-day routine is, if you notice that detangling is becoming a more gruelling and difficult process than normal, it may be time to cut your losses! Is your hair lacking volume? Has it lost the fabulous shape and definition of your last cut? This is a sign that your tresses may need refreshing! Bring your hair back to life with a quick trim to add some bounce to your fabulous ‘do! If your hair growth has reached an apparent plateau, but you’re still finding broken ends in the bathroom sink, your roots aren’t the source of the problem! Damaged ends will keep your strands from reaching their full growth potential. If you find you haven’t seen any extra length in awhile, you guessed it– it’s time to get a trim! 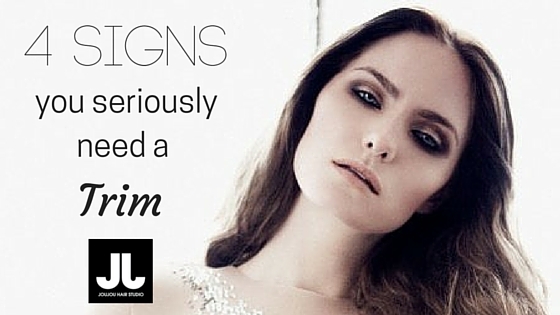 Do you have your own tell-tale signs that your haircut is due for a refresh? Share with us below in the comments! Whether or not you embrace your natural texture, you’ll learn that products with natural ingredients tend to work best for your hair. Mother nature has a wealth of ingredients that lend to a happy and healthy mane, and all of these ingredients lend to total hair health. Because it’s molecular structure is so similar to the oil your skin naturally produces, jojoba is a great oil to moisturize both the hair shaft and scalp. This natural ingredient is excellent for balancing oil production from the root, leaving hair shiny and supple without leaving it greasy and weighed down. Try applying a few drops to your ends before styling! This ingredient serves as a humectant in hair products, meaning that it draws and binds water molecules to itself (and everything it touches). Glycerin also acts as a sealing layer over the hair strand, resulting in even more moisture retention! This is a great ingredient to add to your homemade leave-in spritz in a pinch. Tea tree oil is a powerful natural antiseptic for a wide range of scalp conditions ranging from run-of-the-mill dry scalp to the most heinous of fungal infections. Whatever your ailment, tea-tree oil packs an anti-bacterial punch that is sure to provide some relief. Because this is a highly concentrated essential oil, a little goes a long way! Dilute this ingredient by combining it with your favourite carrier oil (e.g. jojoba or extra virgin olive oil) or adding a few drops to your shampoo and conditioner. Extra virgin olive oil is an ingredient found in many natural deep conditioning products because it works well in sealing and softening the hair. “Extra virgin” olive oil is named as such because of its highly unrefined and top-notch quality. With zero chemical processing, this oil is a great pick for the girl who wants to simplify her hair product roster. Use oil this as a pre-shampoo treatment or a nourishing deep-conditioner. 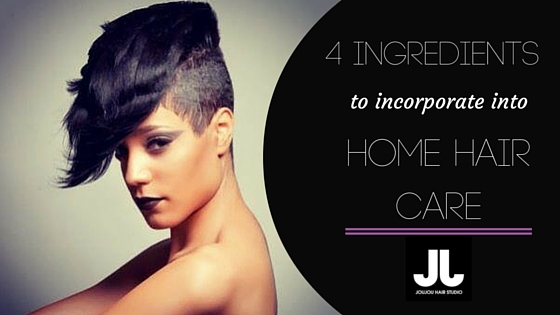 Have you tried any of these ingredients in your home hair-care routine? Tell us your experience by commenting below! When it comes to hair growth, there really is no magic secret. 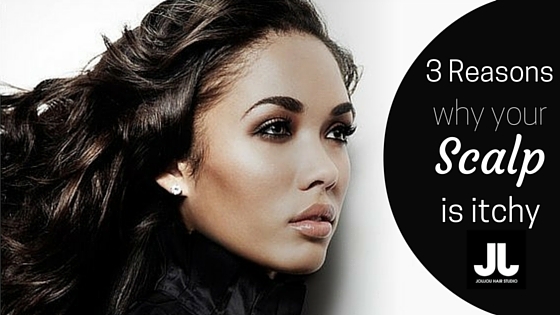 The formula is quite simple in theory– keep your scalp healthy and keep damage to your ends at bay. However, as many women on a healthy hair journey can attest to, hair growth is not always so straightforward. There are many factors that can affect your hair growth, but the fact is that you’re at the mercy of genetics. 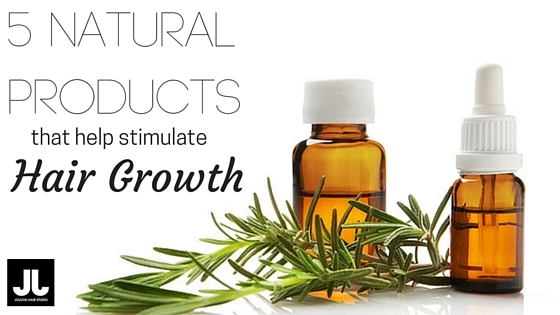 Rosemary is well-reputed as an effective hair growth aid. Its scalp-stimulating properties are what make this oil great for bald spots and thinning edges. Try diluting a few drops of this essential oil into your favourite liquid oil and massaging the formula gently into your scalp. This succulent is more than just your favourite house plant– it’s essentially a super food for your hair! Overflowing with an abundance of antibacterial properties, vitamins A, C, E, and over 20 different minerals, Aloe assists in hair growth by keeping your scalp’s natural oils in check. By regulating the production of sebum, it allows the pores on your scalp to breathe, keeping them from being clogged, which slows natural hair growth. This refreshing essential oil stimulates hair growth by deeply penetrating the scalp and follicles, allowing for more oxygen to flow through the blood vessels. Watch out though– this oil is very strong and must be diluted properly before use. You can also add a few drops to your favourite shampoo for an invigorating wash day! Lavender is another hair hero with antibacterial properties and a sweet scent for added bonus! It keeps the pores on the scalp clean and open, preventing growth-reducing conditions like dandruff. To use lavender as a rinse, boil the herb in water for a few minutes and allow it to cool before use. You can also make a lavender infusion by leaving the plant to sit in your favourite oil for 3-4 weeks. Shampooing too frequently can strip hair and scalp of its moisture– something that is detrimental to overall hair health. However, for those who lather sparingly but style often, buildup can easily become your worst enemy and a huge barrier to reaching growth goals. Using an apple cider vinegar (ACV) rinse after your shampoo balances the pH levels in your scalp that too much product, dirt and grime have thrown out of whack. Instead, your hair will be soft and shiny and your scalp will breathe much more easily. Mix 1-2 tablespoons of ACV into 1 cup (8oz) of water for a remedy that will leave your strands smiling! Have you tried any of these products before? Let us know how they work for you in the comments below! It’s important to remember that your scalp is your skin. If it is moisture deprived, it will become dehydrated, dry, and irritated. When your scalp is dry, you may see tiny flakes start to appear. Don’t mistake this for dandruff– it is simply your scalp over-shedding and is often accompanied by tightness and itchiness. To treat a dry scalp, be sure to drink plenty of water, shampoo less often, and hydrate your scalp by spritzing with your favourite moisturizing leave-in. Over time, all of the moisturizing and styling products used on the hair result in build-up on the hair and scalp. Dirt, debris, and other particles clog the pores on your scalp and cause irritation and that uncomfortable, itchy feeling. While rinsing the hair from time to time or using a moisturizing shampoo is great, it is important to use a scalp cleanser or clarifying shampoo to deep clean those pores! Regular shampoo doesn’t penetrate the scalp quite deeply enough to get under all those layers of build-up. If you’re keeping your scalp hydrated, cleansing it regularly from product build-up, but you’re still scratching away, a scalp condition may indeed be the culprit. Dandruff, a common condition caused by overgrowth of a yeast-like fungus called Malessezia, causes large, greasy flakes and itching. Dandruff is just one of various scalp conditions that can cause itching and irritation. Thankfully, it’s totally treatable! Be sure check with a dermatologist who will be able to diagnose possible scalp conditions and work to fix them ASAP! Healthy hair starts at the root, and that means a healthy scalp! Do you have any tips to stop scalp itch? Share with us in the comments below! Women of colour are embracing their natural roots in droves. The natural hair movement is made up of ladies who are either tired of the damage that can come from years of chemical relaxing, making efforts to re-discover themselves, or are simply looking to switch it up by rocking a new style. In each of these cases, many women opt not to do the infamous “big chop”, choosing to grow out their curls instead. The problem is, when growing out a relaxer, the drastic difference in the two hair textures can cause major breakage if hair isn’t cared for with special attention. It can’t be stressed enough. Deep. Condition. Regularly. This is a no brainer for keeping hair intact while tackling two textures at a time. Monthly fortifying protein treatments combined with weekly moisturizing deep conditioning will help your relaxed ends maintain strength during your transition and nourish the incoming new growth. The ‘line of demarcation’ is where your natural texture and relaxed hair meet and is arguably the weakest point in the hair strand. Many brave transitioners have suffered devastating breakage at the line of demarcation. To avoid this, try to reduce the amount of detangling and styling done with combs and brushes, instead using your fingers whenever these tools aren’t absolutely necessary. Every aspiring natural knows that too much heat is bad news. Unfortunately, this doesn’t always translate into action during those frustrating hair moments when it seems easiest to just grab a flat iron. However, using heat as you go-to bad hair day solution can result in loss of curl from heat damage and– you guessed it– breakage. There is no remedy to this type of damage and it will only slow the process of your transition. So, now that frequent heat styling is a no-no, how will you make your two textures work on a more than occasional basis? The trick to a successful transition is to make your roots blend as well as possible with your ends. Depending on your curl pattern, the textures may not always match perfectly, but isn’t that the whole point of experimenting with your natural texture? Embrace all your new found kinks, coils and curls! Twist-outs, braid-outs, roller sets, braids, buns etc.. will soon become your standard hair styles. Remember to be gentle when handling your hair and don’t skip your moisturizing routine! Growing your hair out is essentially a waiting game. Dealing with two different textures can be frustrating at times and extremely overwhelming, especially if you haven’t seen your natural hair in years. But if you’re not willing to take the drastic step of the big chop, you and your hair are going to need to learn to become friends. So wait it out, and while you’re waiting, be sure to appreciate the process every step of the way. Here’s to a healthy, happy, and soon-to-be natural head of hair! 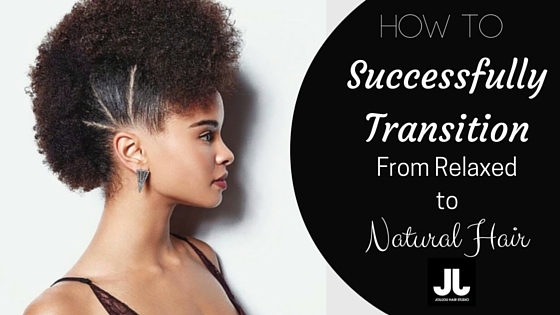 What is your biggest challenge with transitioning to natural hair? Share with us in the comments below!